A mother whose 22-month-old daughter died after being beaten and poisoned has been found not guilty of murder. 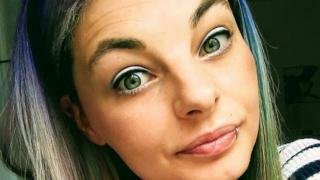 Eve Leatherland died in Liskeard, Cornwall, with multiple fractures and a fatal dose of codeine in her system in October 2017. Abigail Leatherland, 26, still faces charges of manslaughter and causing or allowing her daughter's death. She is on trial with her former partner, Thomas Curd. He is still accused of murder, which he denies. Mr Curd, 30, from Watford, also denies charges of manslaughter and causing or allowing Eve's death. Ms Leatherland had moved to Cornwall from Mansfield, Nottinghamshire, earlier in 2017. Before starting his closing speech, Sean Brunton QC said it was now the prosecution's case that Mr Curd murdered Eve by assaulting her repeatedly and poisoning her. He had previously told jurors the prosecution did not know which defendant carried out which act but added that it was "inconceivable" they did not both know what happened to Eve and "could not both see she was very, very sick as a result".